In 1974, Bruno Nettl urged “ . . . it is probably time to begin to rethink the idea of improvisation, to see whether it merits consideration as a single process, whether it has integrity as an idea separate from other, related ideas about creating of music, and whether all the things that we now call improvisation are indeed the same thing.”1 Today Nettl’s questions flourish in a field of improvisation studies that not only addresses variation between musical practices, but also across a variety of domains with improvisatory aspects such as dance, theater, artificial intelligence, farming, organizational management, poetry, and many others. The journal Critical Studies in Improvisation / Études critiques en improvisation, the Improvisation, Community, and Social Practice organization, and the two-volume Oxford Handbook of Critical Improvisation Studies (Oxford University Press, forthcoming Summer 2016), edited by George Lewis and Benjamin Piekut, have been influential in this regard, and continue to advance a growing movement devoted to critical scholarship on improvisation. Our respective interests in improvisation are both scholarly and personal. Goldman is a pianist, composer, and cognitive scientist whose postdoctoral work at Columbia University focuses on developing ways to integrate neuroscientific theories and experimental methods with the broader study of improvisation. This includes both theoretical work (i.e., how can this integration best be done) and experimental work comparing groups of musicians using electroencephalography (EEG). Hannaford, a graduate student in music theory at Columbia University, researches the analysis of musical improvisation, particularly in relation to subject- and community-formation, in conjunction with race, gender, sexuality, nationality, and class. He is also an improvising pianist and composer who performs regularly. Other members of the group include musicians, musicologists, dancers, choreographers, computer scientists, sociologists, a graphic novelist, and professional educators. Despite the apparent ubiquity of improvisation in different domains, and surface similarities between instances of the practice, finding meaningful theoretical commonalities has not been a trivial process. Here, we share some of these thoughts and challenges that we have encountered in the discussions, and reflect on how to advance this area of research. One clear example of this difficulty arises in discussions of constraints, a concept which can readily be applied to improvisation in different domains. For example, a musician might be constrained by a chord progression or a dancer by a particular choreography. Constraints are sometimes used to quantify the degree of freedom of a performance. Building on this view, different performances can be placed on a continuum or spectrum depending on how many constraints there are. These concepts have frequently arisen in our discussions as potentially having explanatory power across domains. While we do not see this as implausible, it has also become clear that the similarity may be only skin deep. Comparing domains of improvisation using the concept of constraints is problematic in at least two regards. First, theoretical terminology differs between practices owing to differences in the practices themselves. There are typically no chord progressions in dance performance and no foot positions in musical performance. Even within music, there is immense variety between traditions, each with its own theoretical vocabulary, instruments, and practices. Noting that constraints exist is certainly important, but there is more work to be done given that specific constraints do not directly translate. Given these differences in formal descriptions of the practices, and differences in the practices themselves, the challenge is to identify commonalities beyond the relatively general observation that constraints exist. Fig. 1: Blue boxes represent domain-specific constraints. Other colors represent the many possible processes that improvisers could use to work with those constraints. The red boxes represent a process that is potentially shared across domains. In a comparison between piano playing and dancing, Hargreaves notion of motor-generated ideas, for example, could forge a link across domains. Second, constraints are often a description of product, not process. In the case of music, one might say that an improvisation is constrained by a key on the basis of an analysis of the product after the performance, and determining that it is, for instance, in C Major. This constraint presumably affected something about the performer’s process (since it resulted in characteristic structures that point to C Major), but describing the product alone potentially equivocates the many ways in which the constraint could have directed the performer’s process, or the many processes that could have led to a similar product. These formalized, product-oriented descriptions of constraints are like a one-dimensional projection of many possible processes that could have led to a particular improvisation. In other words, there is another highly relevant dimension—a depth to constraints—that captures important variation in process. The many ways to improvise in C Major constitute a depth, but that depth variation would collapse if one only considers the product of an improvisation (i.e., the key). Understanding the variation in this depth dimension, we believe, has the potential to create more meaningful connections across domains. In other words, one can look at the processes that lead to what appear to be constrained products, and those processes have common features across domains regardless of the specific nature of the product (e.g., musical notes, dance steps, etc.). Another place where the idea of depth of constraints arose in our discussions was in our meeting on the topic of live coding. Defining live coding is difficult because of the heterogeneity of its practices, although Thor Magnusson suggests that writing algorithms in real time performance is a common feature.7 As an improvisatory practice, live-coding certainly works with constraints in the sense that coding environments and programming languages constrain what is possible to create, and facilitate certain kinds of creation due to the affordances of the particular human-computer interface being used. That being said, the way constraints affect live-coding musicians has important differences compared with the way constraints affect acoustic instrumentalists, owing to the respective nature of these practices. A demonstration of live coding by live coder Charlie Roberts. 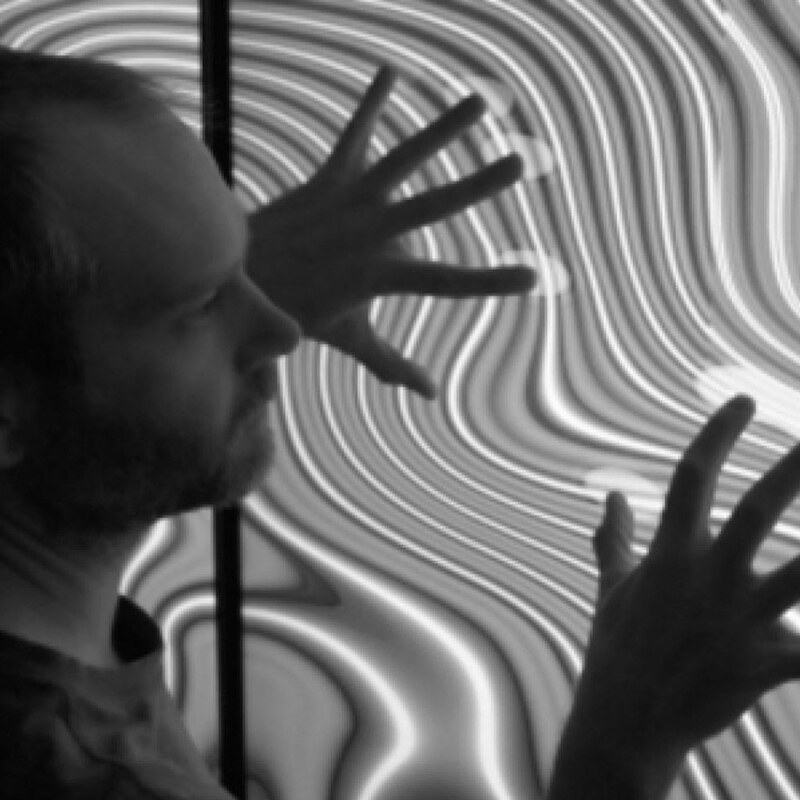 For the live-coder (if using only a computer keyboard and no electronic embodied interfaces), the relationship between a movement and the sonic result of that movement can be dissociated in time. That is, when the performer moves (by typing), the sonic result may not happen immediately. Also, similar movements (i.e., typing similar lines of code) can result in very different sonic consequences. This is a complex issue, but the main idea for these purposes is that despite a surface similarity that both live-coding and acoustic instrumental practice are constrained, the performance processes can be markedly different, in whether constraints extend in time, and in how they affect performance decisions and dynamics. This type of difference has the potential to more meaningfully draw comparisons between domains of improvisation. That is, instead of considering the mere presence of constraints, concepts like temporality—the temporal link between movements and sonic results—can more effectively underscore important similarities and differences between improvisatory practices that have similar temporal issues. Members of our group have also discussed constraint in terms of interpersonal relationships. Improvisers act and respond to one another in reciprocally dynamic ways. Unsurprisingly, improvisers are often acutely aware of this “dance of agency,” to borrow Andrew Pickering’s phrase.8 Power structures, which are either predetermined or emerge during performance, modulate these relationships. While it is true that power constrains improvisation, the way in which power constrains provides better means for comparison across domains. Furthermore, power manifests itself differently in different domains of improvisation and not all of these manifestations are comparable. Take, for example, the theorization of improvisation offered by Crossan et al., who compare improvisation in music and organizational management and state, “if organizations want to improvise [like jazz bands], they have to . . . rely on camaraderie, mutual trust, and respect.”9 Crossan et al. contrast rehearsals by jazz musicians, which in their view are “loose, unstructured, and experimental,” with orchestra rehearsals, in which “all the musicians in all the sections follow the lead of the conductor who guides, develops, demands, and creates the mood of the piece.” In their analysis, constraints imposed by a particularly rigid power structure prevent the orchestral musician from improvising, while the loosening of those constraints allow the jazz musicians greater freedom in rehearsal. They advocate for applying the jazz-band model to organizational management. One of their concluding remarks, however, reveals a lacuna in their theorization in regards to power. Crossan et al. reflect on the sustainability of improvisation in their model, asking “should [the group of improvisers] disband when the [improvisation] has run its course?” and suggesting that, if improvisation persists, the organization must confront the possibility of “disruption, inconvenience, and occasional mistakes.”10 Their answer thus suggests that the primary function of improvisation in their model is to increase productivity and market share. Accordingly, when improvisation runs counter to these aims (which are presumably more profitable for some than others), it should be curbed. There is thus a limit to the agency their theorization of improvisation grants those below the management level: those improvisers are not able to invert or disrupt the power structure that frames their improvisations without working against it. This is not to say that improvisation cannot be used to critique power structures—it obviously can and often does—but that, when theorized in terms of “working together,” one should also consider the function of power. Nicholas Sorenson has called for a more nuanced examination of “the jazz band metaphor” in studies of improvisation in organizational management. Reinserting power into Crossan et al.’s theorization also potentially provides the means for better comparison of improvisation across domains.11 Exploring “the jazz band metaphor” further, for example, one could investigate how power relationships within a jazz band modulate improvisations by its members. Power structure might be based on monetary exchange, representation, compositional material, and/or the overall aesthetic of the group—one of the musicians might pay the other musicians a fee, advertise the group in his or her name, be the sole or primary contributor of original material, and/or define, explicitly or implicitly and in broad or strict terms, the aesthetic of the group. 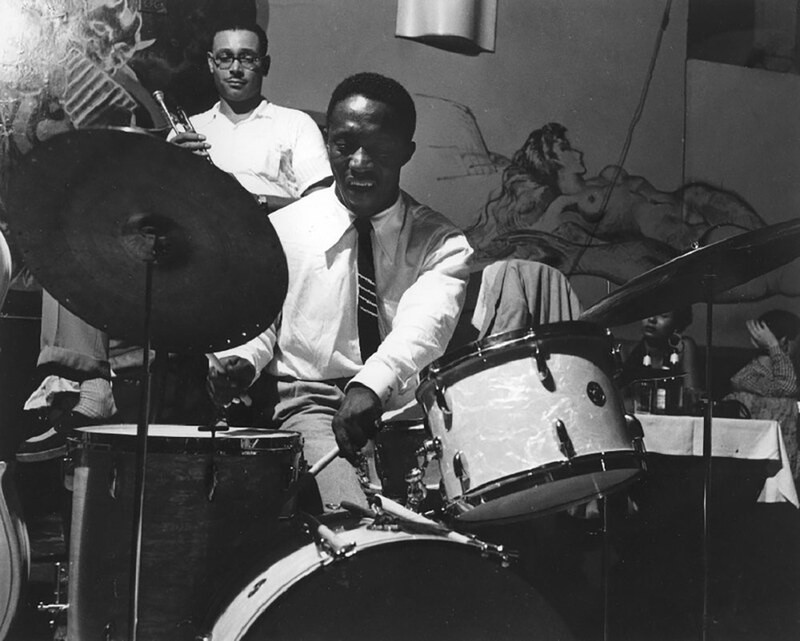 Consider these comments from the great drummer Art Blakey in this regard: “I’m the leader, this is true … You learn to sit back there and make that man play… and try to make him build up. And a guy goes a certain distance, I make a roll. They know when I make that roll, they got a certain distance.”12 In this passage, Blakey describes the way he signals to a soloist that their solo is coming to an end (a press roll) and makes explicit the fact that, as the leader of the group (Art Blakey and the Jazz Messengers, emphasis added), he has the power to do so. These press rolls can be heard on many of Blakey’s recordings and are, in part, artifacts of a particular power structure. This is not a critique of Blakey nor the jazz band as a space in which improvisation takes place, but merely to point out that it is not devoid of influential power structures. Theorizing improvisation in terms of power provides one way of comparing improvisation in organizational management, as seen in Crossan et al.’s model, with jazz groups. Although Crossan et al.’s model is based on “the jazz band metaphor” it is fairly clear that power does not play an explicit role in either their analysis of jazz improvisation or the application of this metaphor to organizational management. Our analysis here suggests that a decentralized power structure influences both of these domains of improvisation: limited agency is granted to certain team members. Thus, the analysis of the mechanisms of power structures has explanatory power across domains, but identifying its mere presence as a constraint does not. In conclusion, we suggest that comparisons across domains of improvisation should take into account a depth dimension of constraints, that is, one that focuses on differences in the many ways constraints are used or applied. This shifts focus from products to process, and can more readily and meaningfully compare and contrast improvisatory practices across domains. In our experience, simply observing that improvisation in various domains is constrained, even accounting for spectrum-type models that describe improvisation as more or less constrained, does not provide the grounds for meaningful comparisons of improvisation. Rather, one should consider how improvisation is constrained, and how those constraints function. By understanding the ways various factors constrain improvisation, theorists can more effectively find points of overlap between domains. We intend to continue the Comparing Domains of Improvisation Discussion Group throughout the 2016–17 academic year. Our goals are to establish a regular group of contributors with diverse backgrounds, interests, and relationships to improvisation, to invite established scholars to present and contribute to the group’s discussions, to deepen our ability to critically compare improvisation across domains, and to publish thoughts and arguments that arise out of our discussions. 1 Bruno Nettl, “Thoughts on Improvisation: A Comparative Approach,” The Musical Quarterly 60, no. 1 (1974): 2. 2 We have been generously supported by both the Department of Music and the Presidential Scholars in Society and Neuroscience Program at Columbia University. 8 Andrew Pickering, The Mangle of Practice: Time, Agency, and Science (Chicago: University of Chicago Press, 2010), 21–22. 12 Ben Sidran, Talking Jazz: An Oral History. Expanded ed. (Petaluma, CA: Da Capo Press, 1995), 105. Apply now to one of 175 graduate and undergraduate degree and advanced certificate programs.